Spring will be here soon and this means: birds, flowers, better weather, sun, light and so much more. When I think about a change of season, I think about a different perfume. 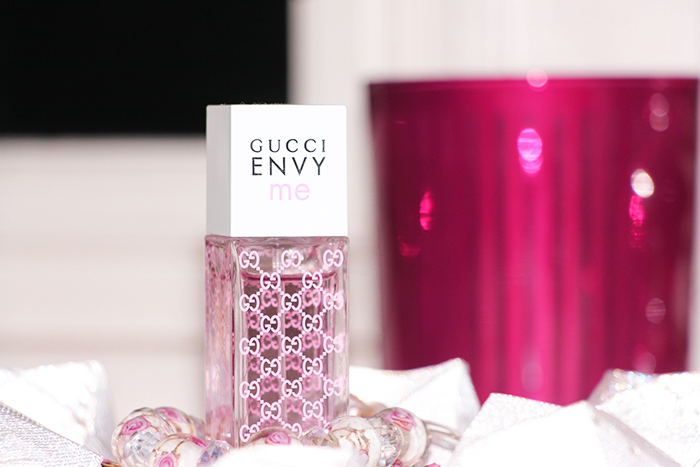 To me, this Gucci perfume called Envy Me is the perfect spring perfume! I got it two years ago for Christmas and I am still in love with it. It smells very fresh, light and a little bit like flowers. I also adore the packaging, which is basic, but still girly and happy. 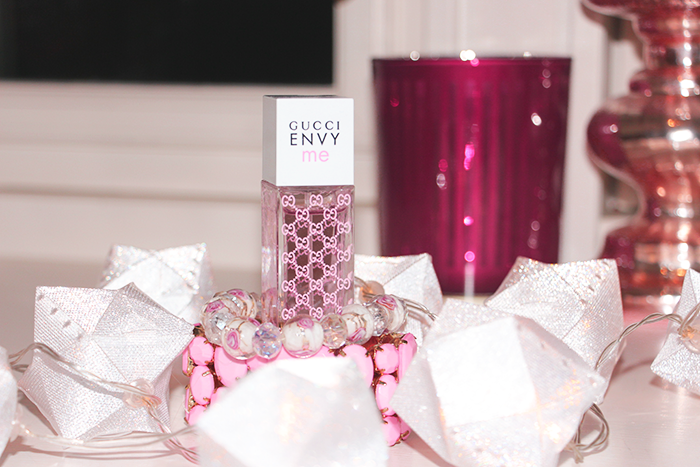 What is your favorite spring perfume? Wat een schattige flacon, ik ben benieuwd naar de geur!